The process of turning wood into functional and beautiful objects has been around for over 4000 years. Just last year, Mike Barlow and Phil Bondi started turning wood into meals. They now create tables, cabinets, shelves, shaker boxes and benches as “B&B Woodworking”, a company they formed to sell their creations. 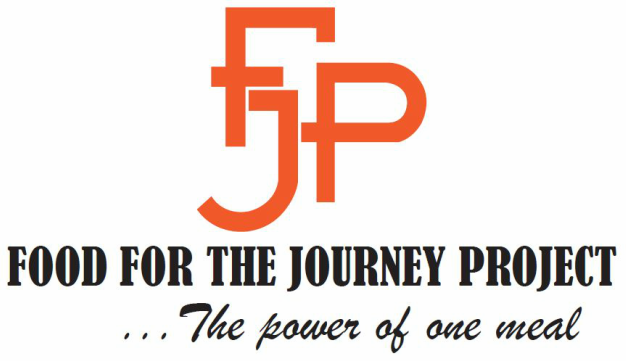 Their mission changed a bit when Barlow got involved with Food for the Journey Project (“FJP”): he and Phil agreed to keep selling their products but decided to donate 100% of their sales to FJP. “We do not make items for the money,” said Bondi, “but to help FJP be able to serve meals.” Last year B&B Woodworking donated $700 in sales to FJP,” said Barlow. That provided 700 nutritious meals to families in Dayton neighborhoods. B&B has a large inventory of products and will start their 2017 sales at Third and Front Street Market on Sunday, April 23rd. The market is open the third Sunday of each month between April and October and is located at East Second Street and Dutoit Street in Downtown Dayton. St. Francis de Sales said "God gifts you talents and abilities, gifts that should be discovered, developed and used for the good of others.” Mike and Phil are answering the call to serve via a personal interest, using their talents to feed the hungry and following in the steps of another woodworker who lived over 2000 years ago. ​We had so much fun we are doing it again next year! Overwhelming response August 23rd at Ollie's Place in Centerville for Food for the Journey Project sponsored by Party with a Purpose. The money raised will provide over 700 meals. A remarkable evening! Thank you Channing, Kevin and everyone involved with Party With A Purpose Dayton for the support and opportunity to make new friends. Meet Sammy Goeller, a 2015 Beavercreek High School graduate, suffers from genetic conditions Chiari Malformation, Ehlers Danlos Syndrome and POTS. As she researched the conditions, she discovered an organization called Conquer Chiari, which raises funds through a nationwide 5k walk/run. Since the age of 15, Sammy has been the co-chairman of the local Walk Across America. To date, this walk has raised over $30,000. Sammy is neuroscience/premed honors student. In addition to her work with Conquer Chiari she is an active Habitat for Humanity volunteer. Sammy will be with us again during her spring break. The book drive was a great success! The Book Club sponsored the drive for Food for the Journey Project, a nonprofit, local organization that provides meals and books to families in need, the elderly, and the disabled. They have multiple sites throughout Dayton and serve anywhere from 100-175 people per week. They are looking to provide over 12,000 meals this year. Thanks to the generosity of the Alter community, we donated 1,881 books to this wonderful organization! Mrs. Suttman's students won first place, Mrs. Susan Morris' class came in second, and Mr. Rich's class placed third. A big THANK YOU to all who participated!